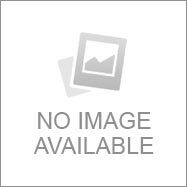 Buying a Wedding Gift!!! Though the idea may seem enjoyable and pleasurable to many, only those who have had to undergo the wedding gift buying experience will be able to empathize with me and my sentiments when I say it is not an easy task at all. Ok, there are exceptions of course, like if it is a close family member, your best friends or anybody else you know intimately then the task of buying a wedding gift is half done before its even gets started. The reason is simple, this is because you know the person in and out, you know what they like and not, what they would love to have, etc. But what about others your other casual friends, office colleagues, yoga class buddies or relatives. Ever had to Buy Wedding Gifts for them? If you have, then you know the confusion that one encounters when there are a thousand gifts staring you in the face, that you get even more confused as to what to buy. In the following write-up, there are a few Matrimonial Gifting Ideas that will help you through the wedding gift buying experience. Cash, Cash And More Cash : As you would have noticed, cash is the key word here. Play safe if you are clueless about what to buy. This option is also what most couples love, & believe me they'll love you for this gift choice. Personalized Gifts Of The Wedding Couple : Be it cute quilts with the blessed couple's photo, personalized photo albums or any other such items, customized gifts are universally liked by all. Travel Tickets Or Hotel Accommodations : Who doesn't like a vacation in exotic locations, especially if couple loves travelling? Though it may seem like a very expensive gift idea, there is a simple solution. You can probably contact other common friends or family members and pool in funds. If it works out, the couple will forever love you for it. Wine Or Champagne : This is another of the gifting options that holds universal appeal & most couples will appreciate the gesture. Other than these you can try other gifting options like jewelry, spa items, and tickets to events that the couple enjoys, etc. 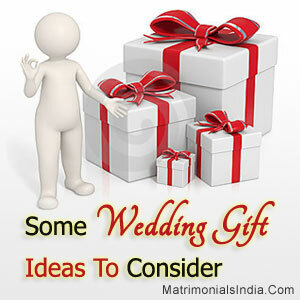 Hope these ideas help you in choosing a suitable wedding gift that you may be sure that the to-be-wed couple won't discard at the first opportunity (or one that remains unused for years at end).